Here is our Countryside Properties (Archive) story – its probably the same as yours: we bought a house a long time ago, we trusted Countryside Properties, and after over 9 months (June 2007), we still have 34 unresolved problems. We’ve had over 80 in all. * Security alarm that goes off whenever you set it! Why not relax and fall asleep over our full list of open issues? There are not enough people to go around and they do not seem to have all the parts that are needed. What is the point of putting aside three days, which we assumed would be 24 working hours, when no one turns up until late morning and then they are on their way again by 3.30pm. That might still be enough, but they are continually dragged off their jobs here and taken to God knows how many other houses at regular intervals, no doubt in an attempt to placate other unfortunate residents. Let’s be clear about one thing – the houses Countryside Properties builds eventually turn out ok. There is nothing wrong (from what we know – maybe you know better) with the basic structure and design of the houses. After a few years, when they’re completely debugged, they should finally be ‘as good as new’. The problem is not the fundamentals, it’s getting from what you got, to what you paid for. Good luck, and hope you find this site useful. Come back and register when we’ve added that feature. How can you help now? Link to us from your blog or other site. Help us help others. We have just tried to purchase a new build house from countryside properties. At first they tried to push us into using their mortgage broker, Oh yes he found us a mortgage but the set up fees alone were £2000 which is considerably more that what we could find, and the monthly repyments were more than the mortgage we had found. Guess what Countryside properties were not happy that we didn’t go with their mortgage broker. Next we get a survey done on the house and its is valued at £182000, £13000 less than what they were asking. Oh dear we upset them again, then it was a case of change lender who will meet the asking price. Next it goes all the way to head office who agree to lower the price to £189950 if we can add £5000, to what the survey / valuation stated it was worth £182000 ( Oops Some one there can’t add up as even this only adds up to £187000, and yes i do have this conversation on my phone. ) Also they are refusing to allow us to approach another lender who we have been in talk’s with and will offer the full amount and will not take any builder incentives into consideration. Finally they now say find the extra money or you don’t get the house oh and you won’t get your £1000 reservation fee back. lastly there is a possibility that they may try to saddle us with the cost of the part exchange as our home had sold and was going through. During this mess we were on holiday and me being the wife who is disabled was and his trying attend my clinic appointment’s in peace. I am urging anyone to stay away from this builder they don’t talk. Much of the same really, We tried to purchase through the shared equity scheme as our first home and how helpful they can be! O my friend the mortage broker can set everything up for you lovely lovely! Well everything seems to be going well and the initial deposit is down on the property… Yet the apartments are months behind schedule due to the fact the tories are pulling money out the scheme and saving a few quid. We have been waiting to hear from these cow boys for months and thought everything was going lovely until someone i know in the game had told me about the problem, NOT countryside properties. We paid them a visit and they acted very innocent “we dont know anything about this and the building work will be going ahead etc…” yet i popped down to the building site and not a brick in site. We thought lets pop back again and they decided to own up and say “we will contact you tommorow with news from head office” and what a suprise no phone call or email. We went again and got an apology but yet again no more news. Today we will get our money back. I will take a repost! i would never recommend anyone to buy a countryside property. i purchased mine in 2014 when i exchanged the property was still being worked on,holes in walls,unfinished front and canopy decor poor parts left unpainted cracks in all board joints. they have tried to repair faults many times and each time it looks worse with their attitude that it is acceptable for ceilings and wall to be uneven cracked and all repairs to stand out. I can only what others have already said, Countryside have absolutely no interest in their properties once the money has changed hands. We were given the keys to our £370,000 house and walked through the door to find a kitchen full of muddy builders footprints, door handles missing off cupboards, a leaking sink, windows that wouldn’t open, external doors that wouldn’t close or lock. It was clear that absolutely no checks had been done before releasing it to us. The snagging list was so long they sent out a “customer service manager” to verify they were genuine problems. These included a full refit of the entire kitchen floor and replastering of eletrical sockets that were falling off the wall. Some of the repairs left it looking worse than it started. Even this took several months and numerous emails to the customer service team to eventually get the ball rolling and it’s now 12 months after moving in and we’re still waiting on some repairs. Endless emails go unanswered or get escalated to someone else, who also doesn’t answer. Jobs are offloaded on to contractors with even less interest in fixing them, most of the time you book a day off work and they don’t even bother turning up. I love the estate I live on, love the design of the house itself, but despite this there’s no way i’d ever buy another Countryside house again. Any chance you’re on the Kings Park development Simon? 5 months we have been waiting to get a leak in our communal area fixed. They finally fixed it and left us with all the walls ripped out and water damage everywhere where they left it leaking for 5 months. 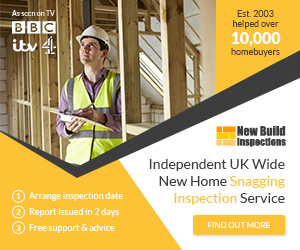 Ive complained to NHBC now and they say if nothing is done in 4 weeks they will send an investigator out. Terrible finishing of the property also, no care taken at all and like a long snagging list. Hi Barrie, incidentally I am going in to view a 3 bed flat tomorrow at Kings Park development Harold Wood (possession Sep 2017). Would you recommend buying there? From your comments it seems you have had a bad experience here. I would say the positives are the location and the estate itself in that the people are good and its a quiet estate to live on. The property on the other hand you will over spend for low quality, which isnt even the deal breaker for me, i understand companies cut costs etc but there have been major problems all around where I am based and the company are reluctant to put right any of their issues. I had to go to NHBC and they have had to get an investigator involved to prompt Countryside to start making good all the water damage we have had. They left our communal area roof leaking for months and only put it right when I called for the 10th time mentioning I have a year old baby and its not safe. So the answer is no I wouldn’t recommend buying from Countryside but the location is under a lot of demand so they will have no trouble selling them. Has anyone on here had problems with the windows or frames in their Countryside Property? I have recently found a crack in the frame of my patio door as I was on my hands and knees. I have informed Countryside who have refused to help saying the door was fine when fitted and the property was inspected twice by a very experienced customer service manager. Strange how the manager missed four other glazing issues which they acknowledged and fixed.